Is there any furniture piece more important in your home than your bed? 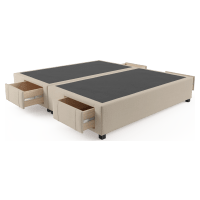 Give yourself a heavenly treat with a spacious king size bed from Brosa. Think about your bedside tables, chest of drawers, and any other bedroom furniture you may have. Bed bases are simple, but you’ll still want to ensure you’ve picked the right fabric, colour, and style to fit seamlessly in your room. You can choose to leave your bed ensemble as a king bed base only. Or you can create a complete piece by adding one of our designer king size bed heads. 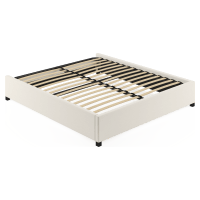 If you’re competing for space but you don’t want to give up your king size luxury, choose a bed base with an innovative storage solution, such as a gas lift bed or built-in drawers. 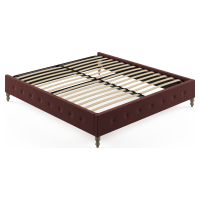 Our designers consider all your needs so you can invest in a sturdy, solid bed base made of quality hardwoods and upholstered with the best materials. Brosa makes buying designer furniture all too easy. Buying direct from designers, you’ll get the best quality furniture for less. Shop online today to have your king size bed base delivered to you, no matter where you are in Australia.